Product Description: Think of this chocolate hazelnut spread as an upscale Nutella with no additives, preservatives or fillers. It comes in a jar and is solid yet creamy, depending on the ambient temperature. Springfield, MO chocolate company Askinosie starts with fresh hazelnuts from Washington to make their own hazelnut butter. They combine that with organic cane sugar, roasted cocoa nibs and natural cocoa and process the mixture for days in their 100-year old mélanugeur, which is the same machine they use to process their chocolate bars. They call it Bean to Jar™ and are the only chocolate makers in the U.S. making such a product from scratch. Ingredient List: Hazelnuts (oil and butter), cocoa powder, organic sugar and roasted cocoa nibs. Test Kitchen Overview: I have always liked the idea of Nutella, but in practice, it is too sweet for my taste. I cracked open the jar of this spread and brought a spoonful to my mouth and I literally said, “Oh my God,” out loud even though no one was in the room. A velvety, smooth, dense, bittersweet cocoa richness filled my mouth. The first flavors were of cocoa and the nibs. I dove in to taste again; the hazelnuts appeared, but as a supporting role. This was sophisticated, dark and delicious. I immediately looked around for a ripe banana to spread it on. 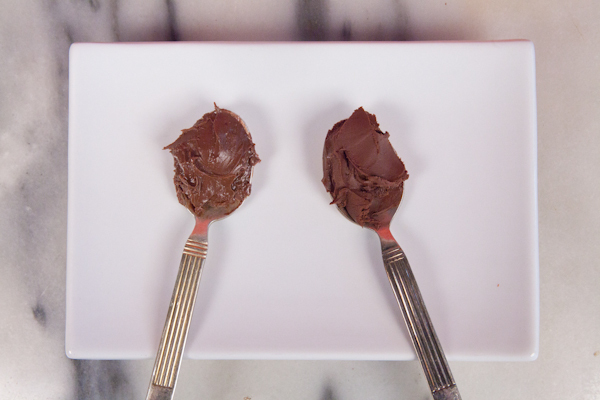 In the image below you can see Nutella on the left and the Askinosie spread on the right; you can see how dense, rich and thick it is. The label says not to microwave with the lid on. So in the microwave it went (sans lid) until pourably smooth. I dunked pretzels and bananas in there but I have to admit, my fingers were probably my favorite vehicles for conveyance. 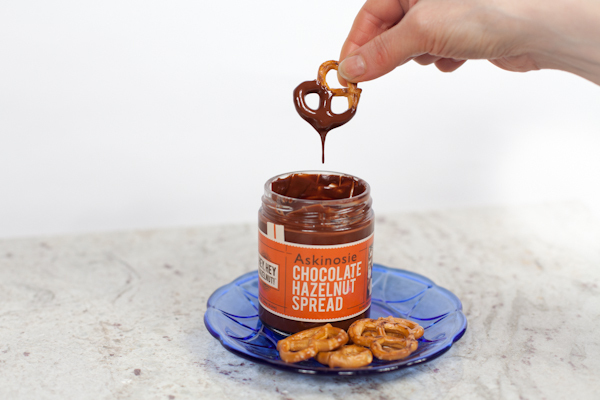 Pros: Nutella has a huge following and if you like it, you should definitely try this, and especially if you don’t like Nutella, try this, as it is a whole new take on a chocolate hazelnut spread. It is an elegant preparation. Great for gift giving. 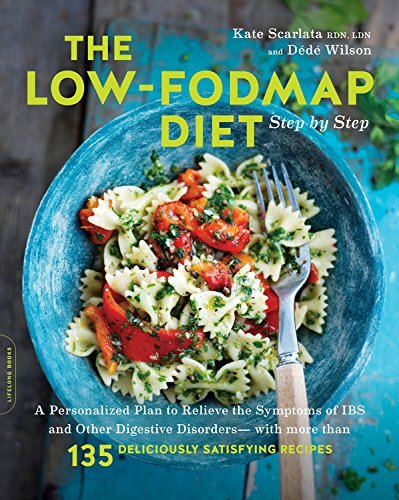 Cons: 1 tablespoon has 100 calories, and while the fat and carbohydrate profiles are similar to natural peanut butter (there is no trans fat or cholesterol, by the way), this spread has less protein and added sugar. Consider this an indulgent treat. 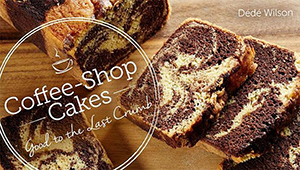 Suggested Use: As I mentioned, fingers, spoons, bananas and pretzels come to mind, but don’t overlook using this as a spread inside of cakes, pastries or sandwich cookies; melted as a fondue; drizzled over ice cream – or try this recommendation from Askinosie: mix with goat cheese or brie and spread on crusty baguette. Price at Time of Review: $13.00 for 6.5-ounce jar.